Shouldn’t it be called a warm frame? The first greens of the season! The cold frame works! Two weeks after we planted the first seeds, the mixed salad greens are up. We have had two snow storms, a couple of +15 Celsius days, and plenty of mornings with frost these past two weeks. The wooden box with the window on top is doing its job. 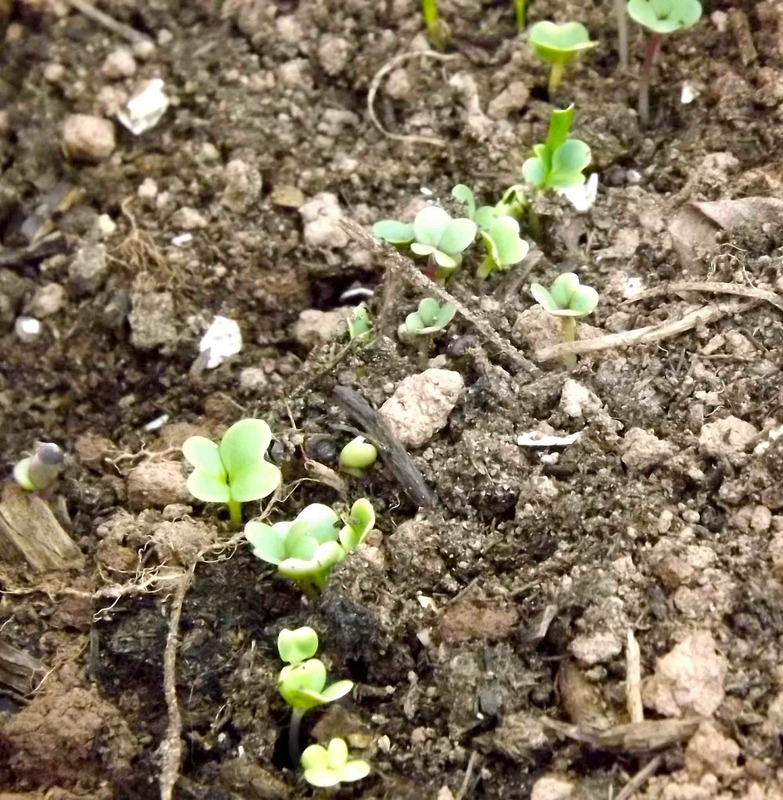 We planted radishes last weekend, and they are up, too. Gotta love those fast growing radishes. Fresh radishes are the surest sign that the garden is off to a good start. They are delicious, but even if you don’t care for radishes, plant them for the quick ego boost that something you sowed is growing. It’s another great learning experience for the girls as well. They check the thermometer in the cold frame every day, and as soon as we are outside, they check to see what is growing. It makes us wonder why we didn’t try this sooner. It also makes me wonder why it is called a cold frame when its purpose is to keep things warm. The girls pondered this question as well, and we agreed that the name cold frame is misleading. We put things in cold storage or an ice box to keep them cool, yet we plant seeds in cool weather in a cold frame to keep them warm. Ah, the intricacies of the English language. Rather than make it more complicated than that, we are simply rejoicing that we have some signs of the renewal of life with the arrival of spring! 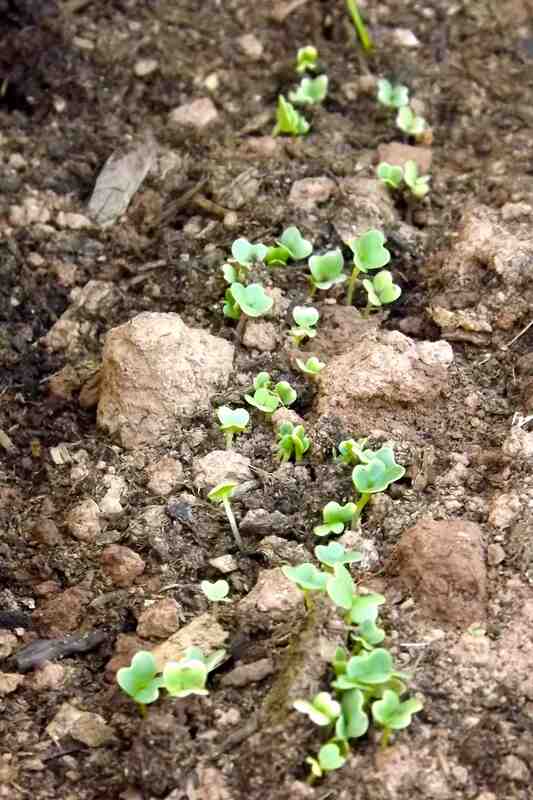 It’s always a joy to see the first sprouts poke their heads through the dirt. I haven’t tried growing any radishes but I might give it a shot in the future. Good luck and happy gardening. Thanks. I always figure you can’t go wrong with radishes. Thanks for your encouragement. we finished ours yesterday Dano – and i bought radish seeds in your honor! tring to decide if i should put soil in it, or just lay trays in it. i was gonna put a layer of seeweed down first.